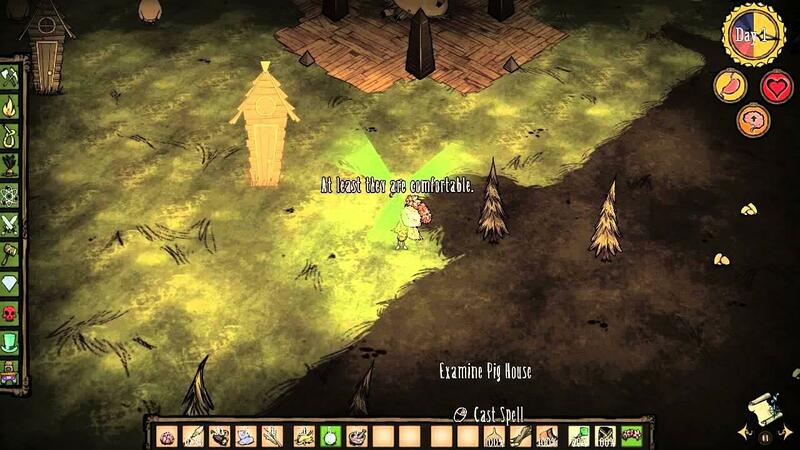 Klei Entertainment sure are awesome with their support of Don't Starve giving it yet another content update. It's a very weird and dark game of survival with a great art style that's well worth checking out. Personally sank a few hours into it, if you haven't picked it up yet then you really should it's a well supported and very fun Linux game. Create your own character animations and sounds using Sprinter & FMOD! These tools are still in development and should be considered experimental. Please give us feedback in the Pipeline Tools Thread. You can now craft a shooty horn/eye turret item. You can now craft potted ferns. You can now craft the “Deconstruction Staff”. You can deconstruct any item that has a recipe to gain the materials used to craft it. The staff takes into account how “used” an item is. If you de-construct something with only 30% durability left, you will only get 30% of the materials back. The staff will never give back gems that are part of any recipe. You can now craft Thulecite walls. Fishing in the wilds ponds will now produce an eel. The eel can be cooked into unagi. Changed the art for the monkey spawner. Increased the number of uses the pickaxe has. That's quite an update you have there! For those unaware, it's available DRM free in the Humble Store.